Dry rock - new routes! On February 8th, myself, Andy Turner and filmmaker Paul Diffley will be speaking at the Royal Geographical Society in London about the Longhope route. 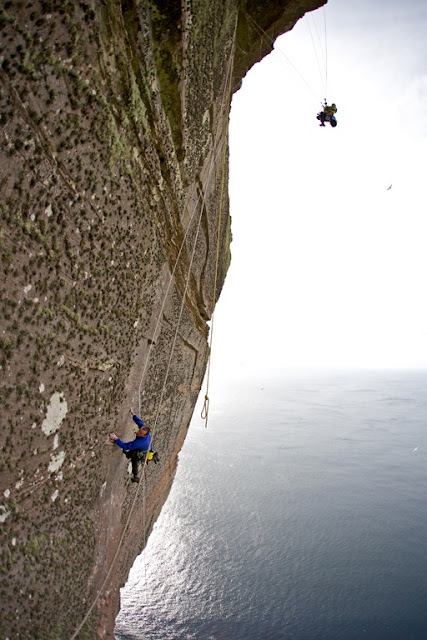 Mountain Equipment and Gore-Tex have helped us arrange an evening of entertainment at the RGS to share with you what was pretty memorable adventure for us, both in terms of the climbers involved in attempting to climb this cliff over 40 years, and in documenting it on film. Myself and Andy will be speaking about our experiences in preparing and attempting the first free ascent of the original Longhope Route as well as some of the history behind climbing on the cliff, and then we’ll present The Long Hope film made by Paul Diffley. In particular I’ll talk about some of the psychology behind taking on a three-year sporting ambition to open a new route at world class difficulty like this, how I’ve learned to be comfortable with the dangers involved, and some of the hurdles that you just couldn’t plan for along the way. Andy will be speaking about how his winter mountaineering adventures in Scotland, the Alps and Norway were about as good preparation as you could get for this type of adventure, yet still not enough to avoid some knee trembling moments on a 1400 foot loose, bird infested sea-cliff. 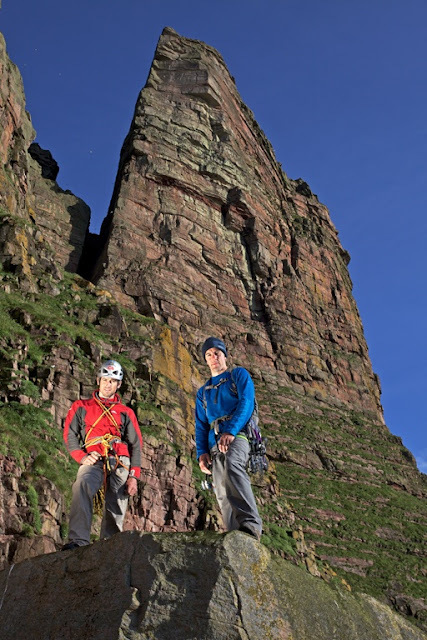 We’ll have a bar and plenty of time to meet up and talk about adventures on cliffs during the evening or ask questions. We’ll also have some signed copies of the Long Hope DVD and various other films and books we’ve made. Doors open at 6pm to start 7pm. It should be a great night! Tickets and full details are available in my shop right here. It’s going to be a busy show so it would be a very good plan to get your ticket early.